Foreign retailers will continue to be a driving force in the Australian market, with estimates they have completed just 20-25 per cent of their planned national roll outs, according to CBRE’s latest Retail MarketView. The report forecasts that this continued influx of offshore groups, coupled with an improvement in economic conditions, will continue to drive the rejuvenation of certain CBD retail precincts around the country. CBRE Associate Director, Global Research and Consulting, Claire Cupitt said the benefits had already been evidenced in projects such as Emporium Melbourne. “This project has changed the face of Melbourne CBD retailing and provided a much needed supply of retail space to support further foreign retailer expansion,” Ms Cupitt said. CBRE National Director, Retail Services Group, Alistair Palmer said Australia punched above its weight from a global perspective, boasting the 12th largest economy despite its relatively small population. “Australia’s retail market continues to fly high on the radar of international retailers, with foreign brands increasingly looking for opportunities to capitalise on the strength of our market,” Mr Palmer said. In addition to the influx of foreign retailers, CBRE’s MarketView report highlights rising clothing and department store sales as another positive for the CBD retail sector. 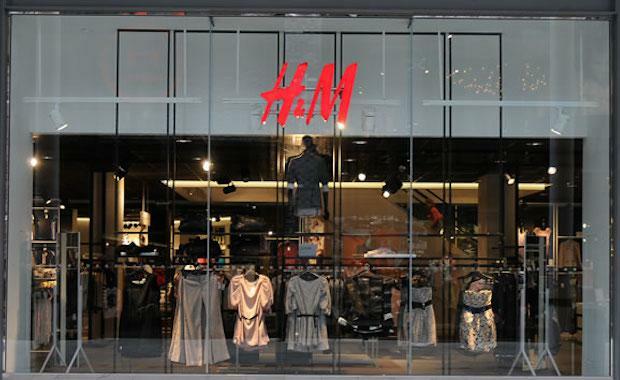 Clothing and department store sales grew by 3.6 per cent in the year to May 2014. Ms Cupitt said NSW continued to lead the nation, with growth of 6.8 per cent over the equivalent period. “This is good news for CBD retail which has not been immune from the challenging retail environment over the past couple of years,” Ms Cupitt said. Retail sales grew 5.4 per cent in the first five months of the year relative to the same period a year earlier, with stronger sales driven by large retailers. While sales growth is expected to moderate to 4.5 per cent in the current half, CBRE is forecasting the retail sector could enter a rental growth phase in 2015 as retailer profit margins improve and the economic recovery continues. There is also potential for yield compression in the retail sector, with yields in a number of sub-sectors, including large format retail, still close to post GFC highs. Indicative yields have already firmed by 57 basis points in the past five quarters, in expectation of retail fundamentals improving in the short term. Approximately $651 million of large format retail transactions occurred over the first half of 2014, compared to $342 million over the equivalent period in 2013. This accounted for roughly 19% of all retail transactions during H1 2014, compared to just 4% during the same period in 2013. “The strengthening momentum in sales supports our view that investor interest is building in this asset class as its emergence from a prolonged slump gathers pace and offers significant upside given yields have yet to compress to the extent seen in other retail property classes,” Ms Cupitt said.